Why do cats love to get in the way during exercise? Well, now we know, thanks to Shorty and Kodi! 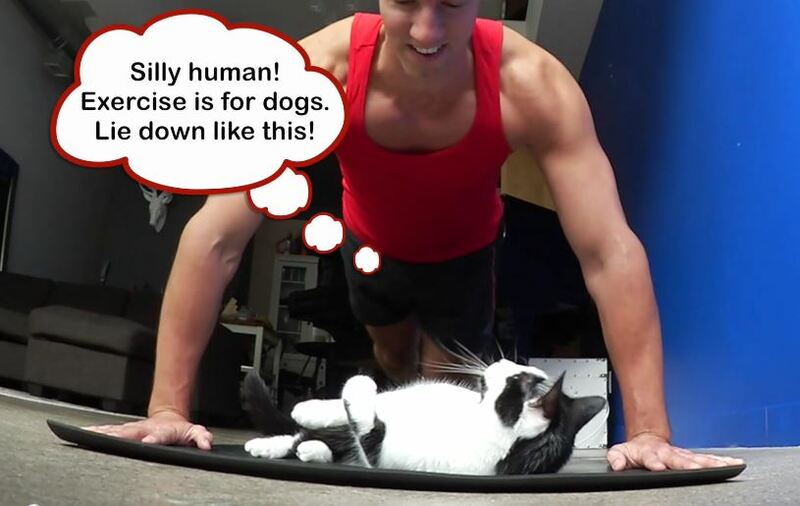 Why do cats love to get in the way during exercise? Well, now we know, thanks to Sho and Ko (aka Shorty and Kodi)! 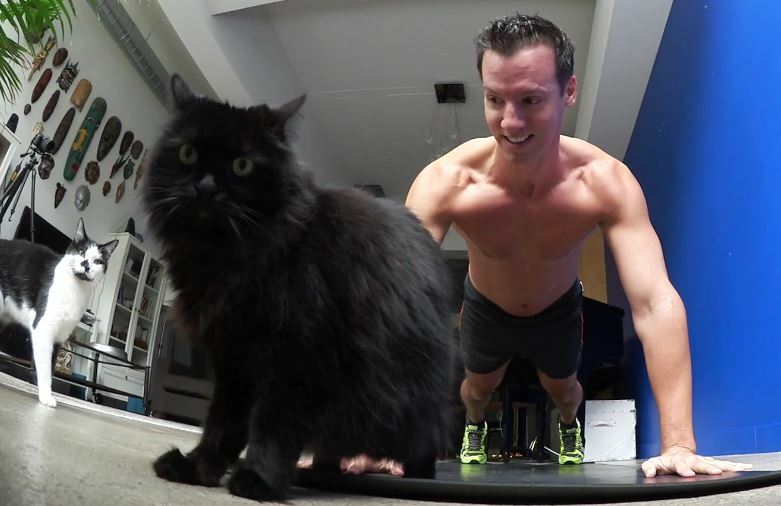 These outtakes are from the cats’ petdad’s 100 Push-Ups video. Oh boy, was that fun to watch. Lucky kitties.